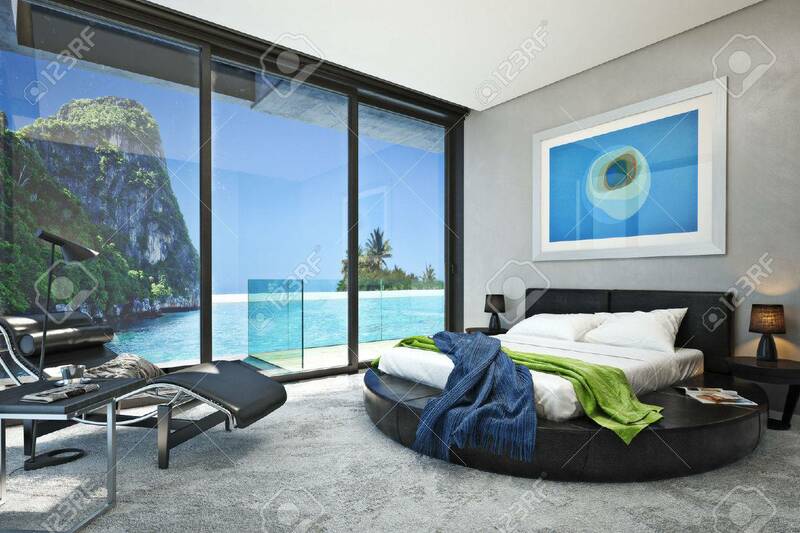 Modern Bedroom With A View Of A Magnificent Seaside Ocean Cove... Stock Photo, Picture And Royalty Free Image. Image 47415153. Stock Photo - Modern bedroom with a view of a magnificent seaside ocean cove. Photo realistic 3d rendering. Modern bedroom with a view of a magnificent seaside ocean cove. Photo realistic 3d rendering.